We will work together to achieve success in a way that works for you. 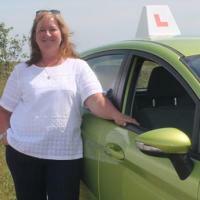 Learning to drive should be a pleasure - it's a skill for life and you should enjoy it. It's important to me that you feel you're getting the best for your money - I know learning to drive isn't cheap but it is an investment. I believe that when I teach someone to drive, we are in it together and I work with you to achieve driving success in a way that works for you. My style is to work with you, at your pace, building up your skills and confidence, until you are the safest driver you can be and are ready to pass your test. If you have any questions – ask! I'm here to help and support you.